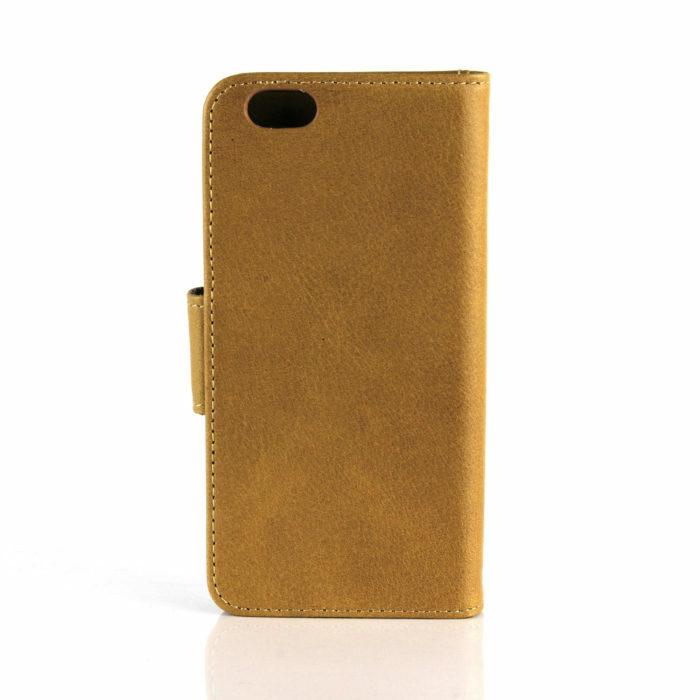 Let Casemade protect your tech by pairing our timeless iPhone 6 leather back case with your iPhone 6. 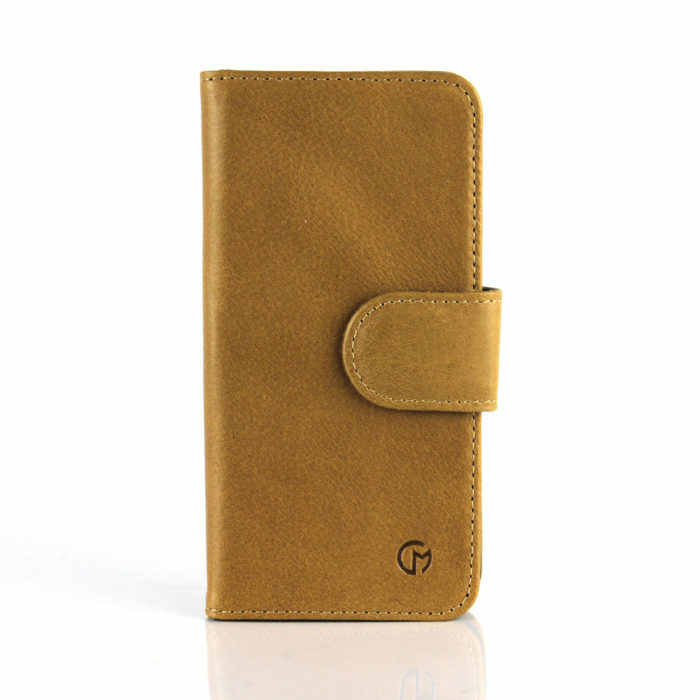 Each and every Casemade cover is crafted out of genuine Italian cowhide leather. The Italian leather is then carefully wrapped around one of our super thin soft touch polycarbonate moulds. All Casemade moulds have been form-fitted to ensure a perfect snap fit every single time. Openings on the sides of the case expose the lightning connector, volume rocker and headphone jack allowing your iPhone to perform all the functions it would be able to do outside of the case.The case also provides a built in wallet function with two cardholder slots perfect for holding credit cards, ID and folded bank notes making it the perfect 2 -in- 1 case for those days when you have to travel light. About Casemade At Casemade we strive to create a range of cases that are intuitively simple in design yet quietly sophisticated in appearance. The products we design don’t shout “look at me” but rather quietly command respect through the noticeable quality of the Italian leather. As a company we believe attention to detail is very important, this is why we individually gift wrap each case in a bed of tissue paper before it is sent out to its new owner. 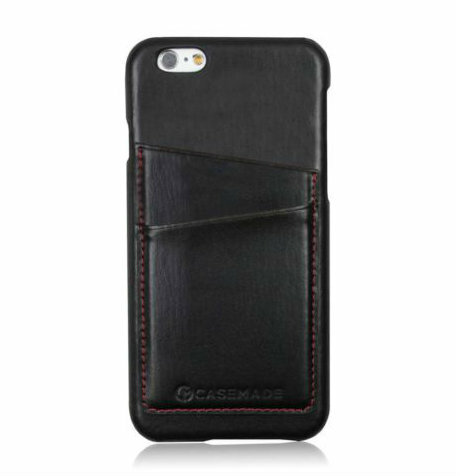 Let Casemade protect your tech by pairing up our signature iPhone 6 leather wallet case with your iPhone 6. Each and every Casemade wallet is crafted out of genuine Italian cowhide leather. Our wallet case features an inbuilt magnetic closure allowing for the outer cover of the case to be tightly secured to your iPhone’s screen providing your iPhone with uncompromised protection. On the inside of the case your iPhone slots snugly into the wallet’s soft touch polycarbonate mould. All Casemade moulds have been form-fitted to ensure a perfect snap fit every single time. Openings on the sides of the case expose the lightning connector, volume rocker and headphone jack allowing your iPhone to perform all the functions it would be able to do outside of the case. The case also provides a built in wallet function with three cardholder slots and one slip in pouch sleeve for holding credit cards, ID and folded bank notes making it the perfect 2 -in- 1 case for those days when you have to travel light. About Casemade At Casemade we strive to create a range of cases that are intuitively simple in design yet quietly sophisticated in appearance. The products we design don’t shout “look at me” but rather quietly command respect through the noticeable quality of the Italian leather. As a company we believe attention to detail is very important, this is why we individually gift wrap each case in a bed of tissue paper before it is sent out to its new owner. 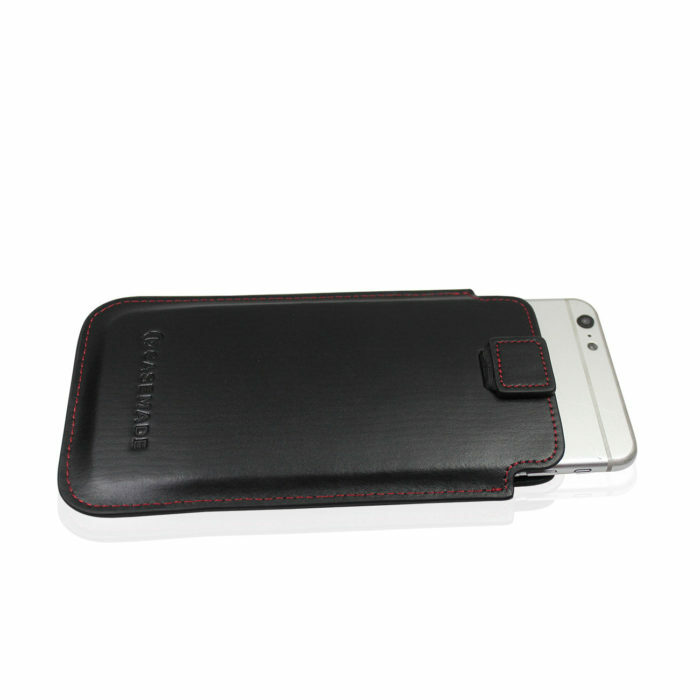 Let Casemade protect your tech by pairing up our ever-popular iPhone 6 leather sleeve case with your iPhone 6. Each and every Casemade pouch is crafted from genuine Italian cowhide leather. 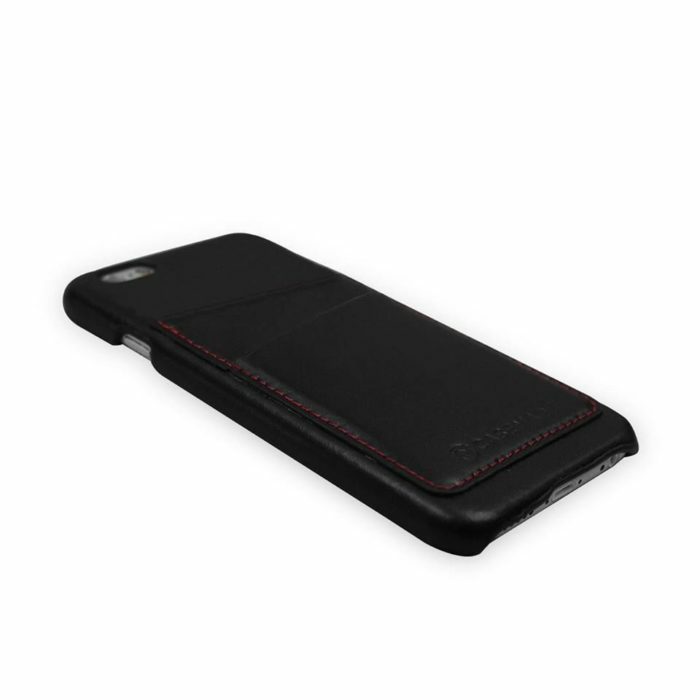 Your iPhone slots neatly and securely into the pouches soft suede lining. Your iPhone can be retrieved from the case effortlessly by gently pulling at the cover’s built in pull-tab. About Casemade At Casemade we strive to create a range of cases that are intuitively simple in design yet quietly sophisticated in appearance. The products we design don’t shout “look at me” but rather quietly command respect through the noticeable quality of the Italian leather. As a company we believe attention to detail is very important, this is why we individually gift wrap each case in a bed of tissue paper before it is sent out to its new owner. Let Casemade protect your tech by pairing our timeless iPhone 6S leather back case with your iPhone 6S. 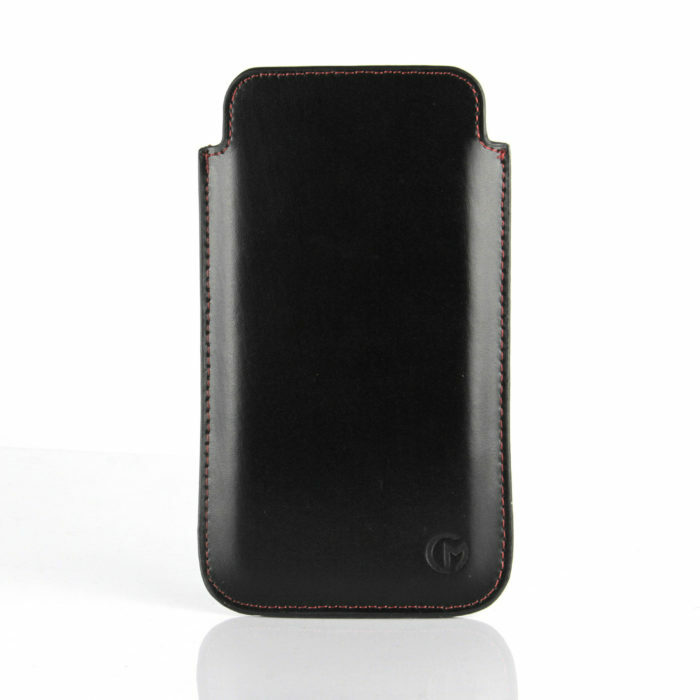 Each and every Casemade cover is crafted out of genuine Italian cowhide leather. The Italian leather is then carefully wrapped around one of our super thin soft touch polycarbonate moulds. All Casemade moulds have been form-fitted to ensure a perfect snap fit every single time. Openings on the sides of the case expose the lightning connector, volume rocker and headphone jack allowing your iPhone to perform all the functions it would be able to do outside of the case.The case also provides a built in wallet function with two cardholder slots perfect for holding credit cards, ID and folded bank notes making it the perfect 2 -in- 1 case for those days when you have to travel light. About Casemade At Casemade we strive to create a range of cases that are intuitively simple in design yet quietly sophisticated in appearance. The products we design don’t shout “look at me” but rather quietly command respect through the noticeable quality of the Italian leather. As a company we believe attention to detail is very important, this is why we individually gift wrap each case in a bed of tissue paper before it is sent out to its new owner. Let Casemade protect your tech by pairing up our signature iPhone 6S leather wallet case with your iPhone 6S. Each and every Casemade wallet is crafted out of genuine Italian cowhide leather. Our wallet case features an inbuilt magnetic closure allowing for the outer cover of the case to be tightly secured to your iPhone’s screen providing your iPhone with uncompromised protection. On the inside of the case your iPhone slots snugly into the wallet’s soft touch polycarbonate mould. All Casemade moulds have been form-fitted to ensure a perfect snap fit every single time. Openings on the sides of the case expose the lightning connector, volume rocker and headphone jack allowing your iPhone to perform all the functions it would be able to do outside of the case. The case also provides a built in wallet function with three cardholder slots and one slip in pouch sleeve for holding credit cards, ID and folded bank notes making it the perfect 2 -in- 1 case for those days when you have to travel light. About Casemade At Casemade we strive to create a range of cases that are intuitively simple in design yet quietly sophisticated in appearance. The products we design don’t shout “look at me” but rather quietly command respect through the noticeable quality of the Italian leather. As a company we believe attention to detail is very important, this is why we individually gift wrap each case in a bed of tissue paper before it is sent out to its new owner.